Throughout the year we have a massive variety of events. 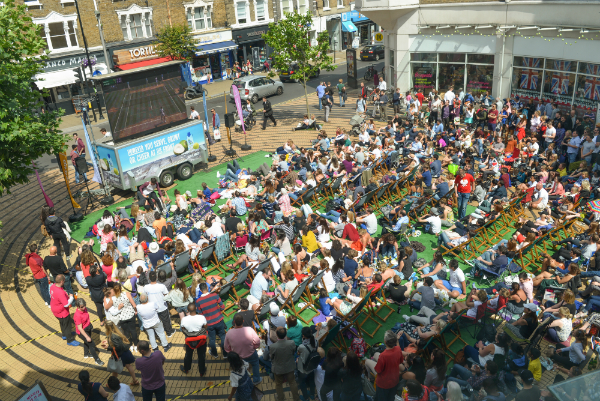 All our events are supported through a range of marketing led initiatives to improve footfall as well as making Wimbledon a better place to visit. Whether a BID business, an artist, entertainer or national player, there are many opportunities for you in partnering, sponsoring or participating in our activities. Three weeks of alfresco lunchtimes in the heart of Wimbledon, free for all to enjoy! Two weekends of activity involving over 60 local artists and a market – footfall goes up up up! If you would like to find out more about these events or how you can get involved please email us.